Performance Unlimited was formed in 2010 with an intention to bring best practices in physical development to the game of soccer, bridging the technical and tactical portions of skill development. It progressed into becoming the first soccer specific performance facility and now has partnered with the most experienced Sports Medicine Physician in the game of soccer within the Charlotte area, Dr William Graham, to form its sister company Sporting Institute. Sporting Institute is the Carolina’s first and only Sports Medicine clinic within a performance facility and features ground-breaking programs in concussion management and concierge sports medicine treatment. 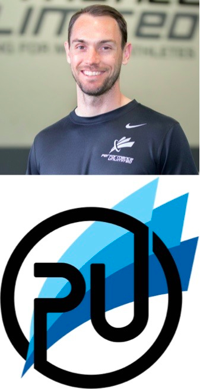 Together these two companies are leading the 4 pillars of sporting performance (prevention, performance, recovery, and return) with researched led best practices and are available to every member of the CCL for education and support throughout the season. You may have already experienced the CCL advantage, with Sporting Institute available for injury care and management on site, within our first play date. This will only continue to expand with education sessions and resources on concussion management, injury prevention and care, performance and athletic development, and more. If you are looking for more information on any of the included services that Performance Unlimited and Sporting Institute provide for the CCL or how you can get involved in their programming, please contact you club for its scheduled events or speak directly to John Lytton at info@theperformanceu.com and their website at theperformanceu.com. John and Billy understand each client and push their limitations thoughtfully and safely to improve overall performance and long-term physical health.